Discussion in 'iPhone and iPad Games' started by Andy C83, Oct 27, 2016. 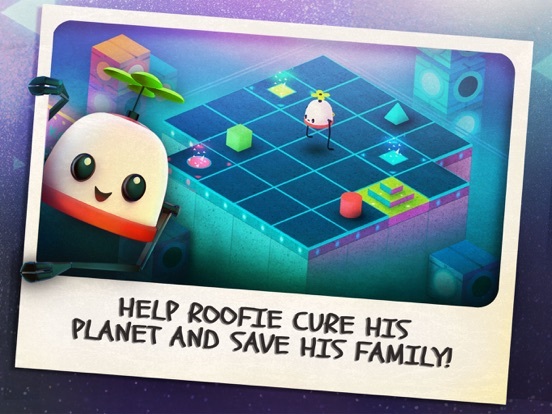 Guide Roofie through gorgeous, meditative rooftops and try to get the right color energy balls into the proper slots to solve the puzzle. But beware -- the architecture changes as you interact with it so think ahead. Every step you take may lead you closer to the goal, or trap you on the roof forever. 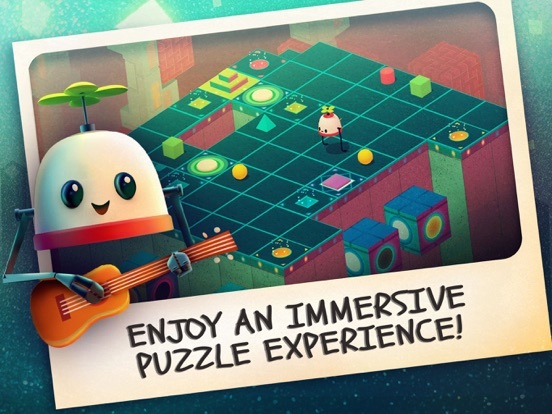 Explore gorgeous audio and fantastic, hand-crafted architecture while trying to figure out ever-more-cunning puzzles. 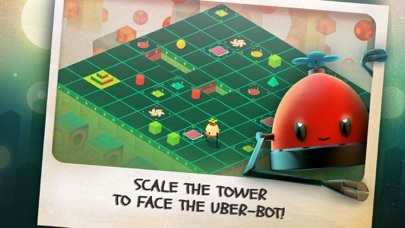 Work your way up the rooftops and face off against the uber-bot who is greedily funneling away all of the power, causing bug after critical bug. Playing is easy -- just swipe in the direction you want to go. But winning -- not so easy! Only you can save the system from a devastating crash! Thanks Andy for posting this, I played the first ten levels and I like what I see, it's nothing world shockingly new but what it does is fine by me. I play this on my Ipad Pro on a stand and it's very relaxing and fun, an easy recommondation for all puzzlers out there. Yeah but only Achievements and there worthless now with Gamecenter gone, too bad. Roger, thanks for your quick response. I read that you updated to iOS 10. It will be interesting to see the sticker sales. I'm keeping mine at 9.3.4. That way, I can see people on my list and vice versa to find out whether or not games have GC. GC is not officially dead, as it's still functioning, but profile pics, total points achieved in terms of world rankings are gone. I'm hoping that Apple comes to their senses and incorporates Game Center again with a new iOS. No need to get rid of stickers either. Several games have both stickers and Game Center. Lol, his name is roofie? Is he friends with GHB? You get 25 hints for free but after that I don't know, still got 23 hints left, and I am on level 31 of the available 100 levels, so I think you don't need to buy more, if your a bit good at it. 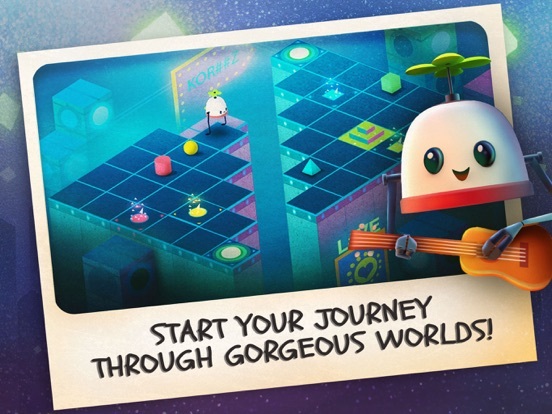 This gets really interesting from level 40 onwards, great puzzler with great art style, very fun and relaxed puzzler, can't say it enough. 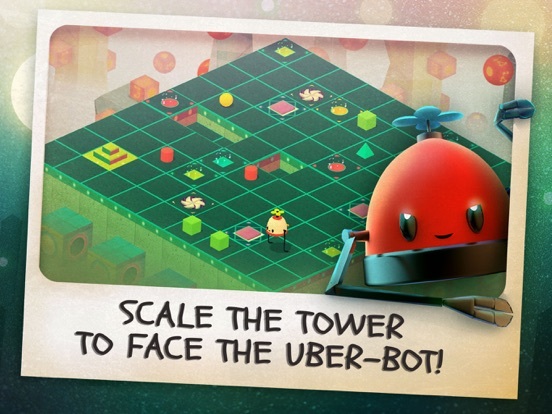 BTW Roofbot is getting good exposure from Apple - it's featured in US, China, UK and 100+ other countries in "New games we love"! 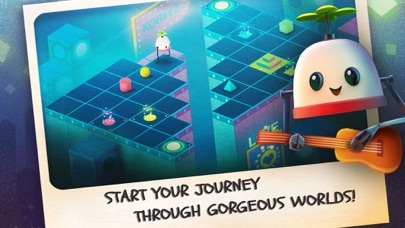 A fine looking game for a puzzler. Superb graphic design. 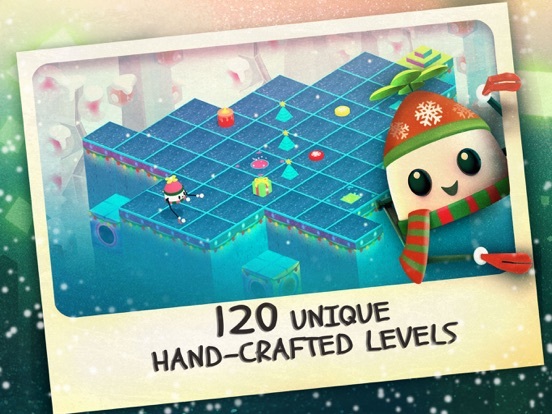 It's relaxing to play at present but I can see that later levels will become more complex. 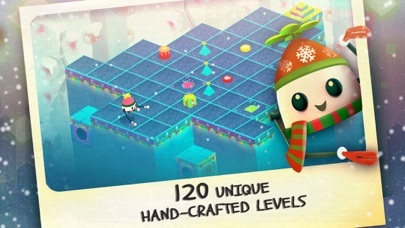 I am on level 75, great game, one of the better puzzle games this year, and it came out of nowhere. Very good. How many hints did you use? Only one, but I was forced to use it in the beginning just to try hints ha ha, the game is great overall, fun character, good overall design, love it all. Here's a tweet from official App Store Games account. I'm on level 31, haven't had too much time to play many games recently. 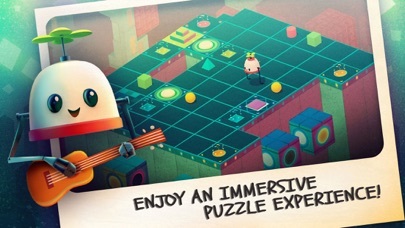 But the game is definitely very clever and the puzzles are starting to show their deviousness of design. I just solved level 31 in the time of writing this comment and can say that I very much liked the solution! Simple mechanics turned into interesting puzzles. 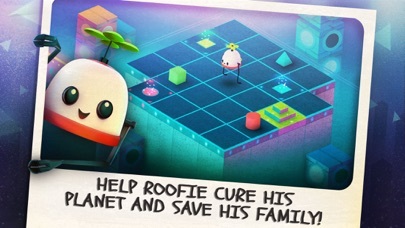 My only complaint would be the controls, which don't always send my roofbot where I want it to go. Thankfully there's an undo button so this complaint is very minor! I am stuck on level 92 it's the hardest I came across, so this one will take me awhile. Just got the solution, great level this level 92. Well I'm stuck on level 28 92 seems a long way off.